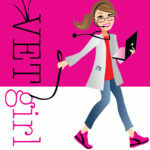 In this VETgirl online veterinary continuing education Real-Life-Rounds, Heidi Reuss-Lamky, LVT, VTS, (Anesthesia/Analgesia, Surgery), FFCP, reviews how to perform a variety of dental nerve blocks for dogs and cats. Nerve blocks are a valuable part of a multi-modal pain management plan. Local anesthetic drug selection, placement tips, contraindications and precautions will also be discussed. NOTE: CE credit is only available for veterinary technicians for this Real-Life Rounds, based on RACE updates. Is this dental nerve block program only for Elite members?? Yes, our Real-Life rounds are case-based, 30 minute ones only available for ELITE. Thanks! To join, go to http://www.joinvetgirl.com. Thanks! Can I attend this webinar (dental nerve blocks for technicians on July 8th) even if I am not a member? So far I haven’t figured out. There is a pink button asking me to subscribe but none to register for this webinar only. No, sorry. We really only offer these to elite members and these are not for purchase.